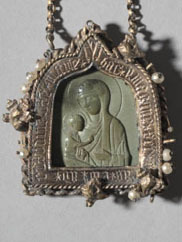 Icon of the Mother of God and Infant Christ (Virgin Eleousa) (detail), c. 1425–50. Attributed to Angelos Akotantos (Greek). Tempera and gold on wood panel; 96 x 70 cm. Leonard C. Hanna Jr. Fund 2010.154. The annual Dr. John and Helen Collis Lecture brings nationally and internationally recognized experts in the field of art history and archeology to discuss new scholarship, museum exhibitions, and archaeological discoveries. Topics alternate between Ancient Greek and Byzantine art every other year. The annual Dr. John and Helen Collis Lecture is made possible through the Dr. John and Helen Collis Family Endowment. The endowment is the first of its kind at the museum, as it presents an annual lecture dedicated to a particular art historical emphasis. Additional support for this lecture comes from the Hellenic Preservation Society (HPS) of Northeastern Ohio. HPS is a non-profit organization whose focus is to preserve the Hellenic legacy that will promote the Greek experience through education, collection and preservation. Dr. John and Helen Collis are both members of the society. 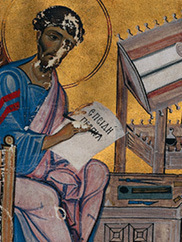 In this lecture, Professor Eastmond will use the portrait as a starting point to consider the nature of originality in Byzantine art. The Byzantine court has long been associated with the dead hand of rigid, stultifying administration, yet it commissioned and created some of the most beautiful and complex art of the medieval world. Can bureaucracy drive creativity? 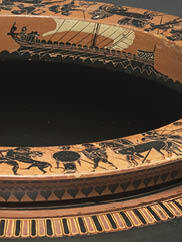 Athenian (Attic) vase painting is the largest body of pictorial imagery to have survived from ancient Greece. 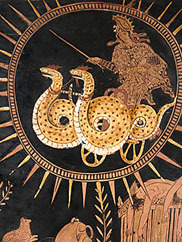 Depictions of mythology, religious cult, and daily life offer a window on Athenian society, but their selective and often ambiguous character leave many questions unanswered. One of the principal means by which scholars have studied Attic vases has been through close analysis of their style, allowing for the attribution of individual works to the hands of specific, usually anonymous painters. The lecture will focus on aspects of the Virgin that gave her the position she holds today and held for many centuries in Orthodox Christianity. Based on surviving visual and textual evidence, it will present some of the reasons and historical circumstances that led to her prominent and exalted position. 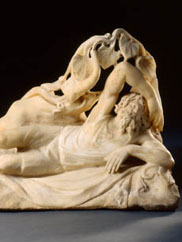 The realms of Poseidon encompassed virtually every aspect of life in the ancient Mediterranean world, from mythology and religious cult to daily activities. 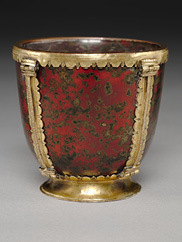 Dr. Antonaras will give an outline of the history of the Byzantine Empire and the shapes, forms, and uses of glass objects present in Byzantine society will be illustrated. 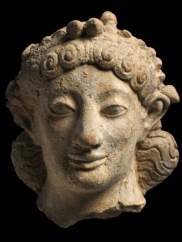 Dr. Claire L. Lyons, Acting Senior Curator of Antiquities at the J. Paul Getty Museum, presents masterpieces of ancient art from Sicily. 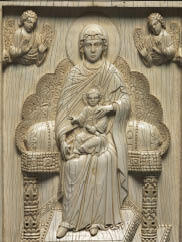 An icon recently acquired by the Cleveland Museum of Art makes the best introduction to this lecture. 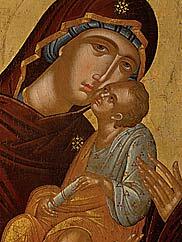 The icon shows the Virgin and Child and can be attributed to a Cretan painter working in fifteenth-century Venetian Crete. 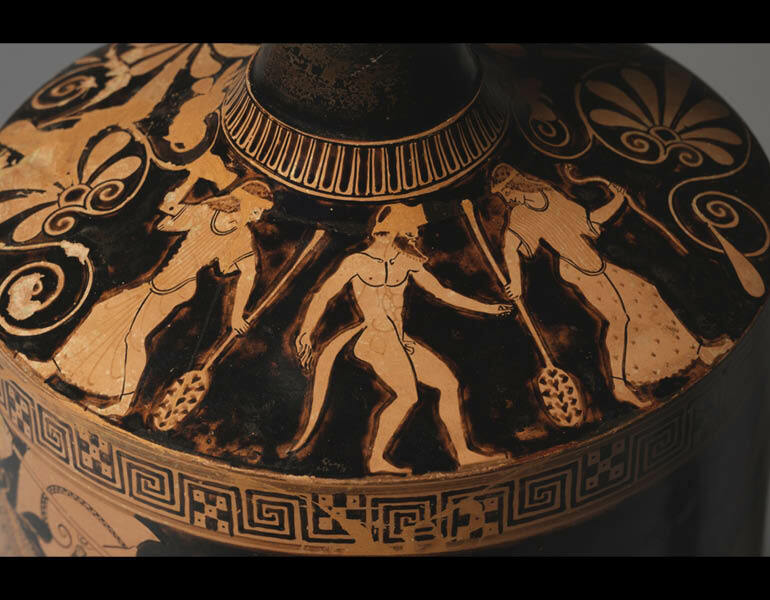 Theatrical performance emerged in ancient Athens from the worship of Dionysos, the god of wine and theater. By the fourth century, Christians had begun to hold the physical remains and personal effects of their holy men and women in high regard, treating them with special reverence and expecting them to provide help with practical and spiritual problems. For centuries, from early Christian Rome to the Renaissance, the empire of Byzantium was famed for its learning, refinement, and luxury products. This fabled classically based Christian civilization was the envy of the Latin West.